Are you leaving the development of your leadership to chance? Getting your team on the same page is critical, and educating them on the newest and best management and sales practices is equally critical. When I established the “Scaling Your Landscape Business” conference, I did so with an eye towards offering the landscape world a venue to train up the thinking of not just the owners, but all the key leaders on your team. Too many owners go to training by themselves, and then struggle to accurately share what they learned to their team. They think “I will share what they need to know” but the sharing becomes one dimensional. Ultimately you have to invest in your best people in order to make them even better, and you have to invest in your potential leaders, in order for your company to hit its growth goals. Leadership and leadership development is not a solo sport, its a team sport. 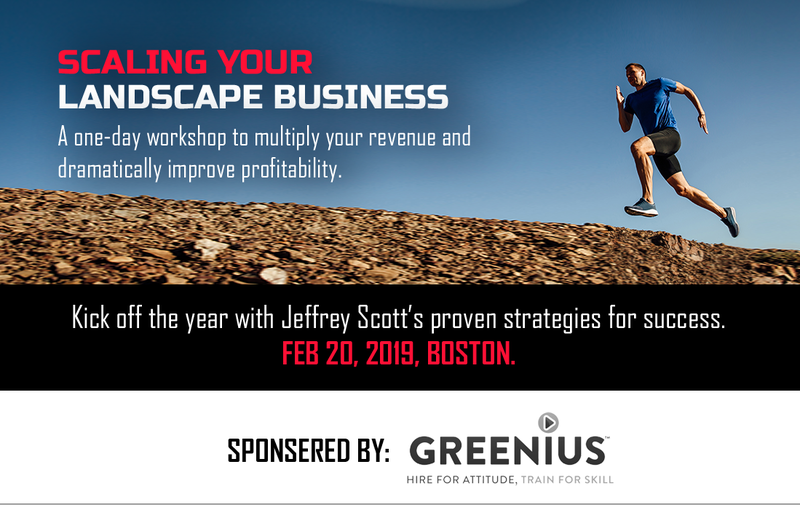 That is why I am offering “Scaling Your Landscape Business” conference in a couple weeks, Feb 20th, in Boston. And it’s why I am offering a discount when you bring additional attendees. Try to come, and if you can’t, find another way to build your team and develop your leadership! Don’t leave it to chance!